Bad days are comprised of an interesting set of phenomena. They come out of nowhere, get worse as the day goes on, and are doubly attractive to the consequences of Murphy’s Law. Every real minute is consciously experienced as two, causing the day to seem like it lasts forever. It’s the type of day during which you swear you can see an actual dark cloud overhead that has chosen to devote its time to you. These types of days are often triggered by a disappointment or bad event and continue to go downhill as the day progresses. And what is most ironic about having a bad day is that the prolonged negative experience of it is often self-generated. Yes, bad occurrences happen unexpectedly to all of us. In fact, bad experiences should be considered as a natural part of the overall human experience. However, it’s our attitudes and reactions to these occurrences that determine their overall impact. Specifically, not allowing a bad moment to fade into the past is what perpetuates a bad day. Bad occurrences are emotion-generating events. As part of a somewhat unconscious and automatic process, we appraise a situation that occurs and, based on whether we believe it to be good or bad, a corresponding emotion arises. Accordingly, once we have appraised an event as “bad,” we experience a negative emotion that affects our physiology, behavior, thoughts, and feelings. In general, emotions are short-lived responses to specific occurrences. However, emotions can turn into more enduring moods when you lose focus of the event that initiated feeling. Consequently, a negative event can snowball into a bad morning; a bad morning into a bad day; and a bad day into a bad week. In other words, the problem arises when we don’t shift gears, and the emotion evolves into a prolonged general state. Have you ever been so angry that you can’t think straight? There is actually a biological reason for this. The short explanation is that the emotional and rational parts of our brain don’t always work well together. Specifically, negative emotions exert a powerful influence over both perception and information-processing, which encompasses what we think about, the decisions we make, and even our creativity. Essentially, negative moods inhibit our ability to have good perceptions, judgments, and decision strategies. In contrast, a good mood facilitates flexibility and creative problem-solving, allowing us to simply solve the problem and move on. Perhaps this is the reason everything seems to be bad when we are having a bad day; because we are feeling negative, we perceive things more negatively. More than likely, the same occurrences on a good day would not be perceived as bad. We’d simply accept them as minor, unlinked occurrences instead of catastrophes or as a string of bad luck. For those with experience driving a car or motorcycle, you probably have noticed that as the gears change via upshifting and downshifting, the engine works best within a certain range as you speed up and slow down. Even when riding a bicycle, if you try to go fast on a bicycle in low gear, your legs will be spinning so fast that you quickly become exhausted. If you try to go up hill in a high gear, you will quickly run out of steam. Shifting gears minimizes wear and tear on the vehicle and maximizes mechanical efficiency. Similar to operating a vehicle, the ability to mentally shift gears is an integral part of managing happiness. Why? The reason is simple: because it minimizes suffering maximizes rational efficiency. In other words, bad occurrences don’t have to become prolonged anguish (like riding a bike uphill in high gear). If we avoid getting stuck in a negative “gear,” we can progress through our days more effectively. 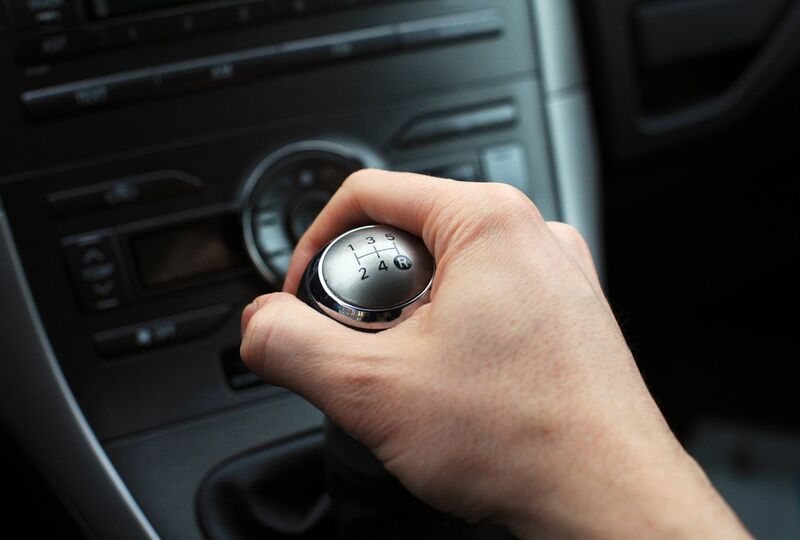 Learning to shift gears is directly related to the concept of emotional resilience – the ability to bounce back emotionally after suffering through difficult and stressful times. The word “resilient” refers to the ability to “spring back” into shape after being deformed. So think about this for a moment: If we prolong a bad moment, then we continue to dwell in the “deformed shape” created by that moment. When bad things happen, they are only meant to affect us momentarily. Resilience allows us to experience stress, deal with it, and then move past it. Ultimately, the more times we practice resilience, the stronger we become at dealing with unpleasurable and stressful situations, and the more easily we are able to bounce back to a normal emotional state. Not only does learning to shift gears promote resilience and happiness by helping us to move beyond bad moments more easily, but it also instills within in us a sense of mastery and control. The more we attempt to master these situations, the more competent we feel in our ability to master them, which ultimately prepares us to weather progressively stronger difficulties. An important key to managing negative situations is to always be mindful of the present. Try not to allow a bad moment to evolve into a bad day. Learn to experience the emotions that naturally arise from a bad event, but be conscious of confining the experience to a small space in time, and then relinquishing it to the past. Once you’ve given the situation the official status of “past,” strive to remain grounded in the present, which means not ruminating over what is now considered as the past. It’s important to keep in mind that growth does not usually occur in an environment of ease. Bad occurrences should be expected as a normal part of life, and could be considered as opportunities to rise to a challenge. If you accept the common metaphor that life is a journey, then perhaps you can consider that learning to shift gears is simply a way of managing the traffic and detours that you will inevitably experience along the way. You shouldn’t end your trip due to a detour. Instead, learn to shift gears, point your compass toward the present, and embrace the opportunity to become a better driver. How do you manage your bad days? Is it easy to shift gears, or do you find yourself getting stuck in them?